The CLRC is a private non-profit organization serving the Canadian livestock industry continuously since 1905, and is incorporated under the Animal Pedigree Act, a federal legislation regulating the keeping of all animal pedigree records in Canada. The various breed associations in Canada are also incorporated under the same Act. Any association so incorporated may become a member of CLRC for the maintenance of its records. CLRC currently maintains the records for over fifty different member associations. In addition, CLRC administers, on behalf of the Minister of Agriculture and Agri-Food, the General Stud and Herd Book for breeds for which no association has been formed in Canada. 66 Queen Street, Ottawa, two blocks from Parliament Hill. Photographed in 2005. CLRC is governed by a Board of seven directors, six of whom are elected by the member association representatives, and one of whom is appointed by the Minister of Agriculture and Agri-Food. The Board elects a chairman annually from among the Directors. The day to day operations of the records office is the responsibility of the General Manager, along with experienced systems staff, program registrars, and administrative and finance staff. Originally entered and recorded manually, all registrations, transfers and other related tasks are now fully computerized. In keeping with our Strategic Plan, the operating systems are continually updated and improved. CLRC is financed through direct fee-for-service based on a “unit” cost system, with one unit defined as a standard two generation pedigree. All registrations and related functions are calculated based on this unit system and charged to the association. In turn, the fees paid by breeders for registrations and other business are set by the association. The difference in these costs goes directly to each respective association, and is a prime source of revenue in support of their membership. 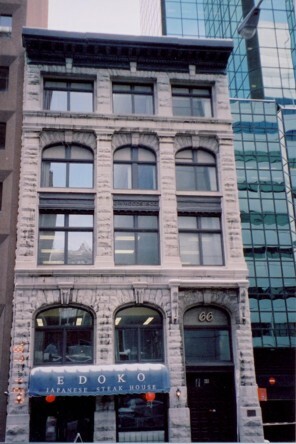 From 1905 to 1969, the original home of CLRC was located at 66 Queen Street, Ottawa, two blocks from Parliament Hill. From 1970 to today, CLRC has been housed in Ottawa South near the International Airport.